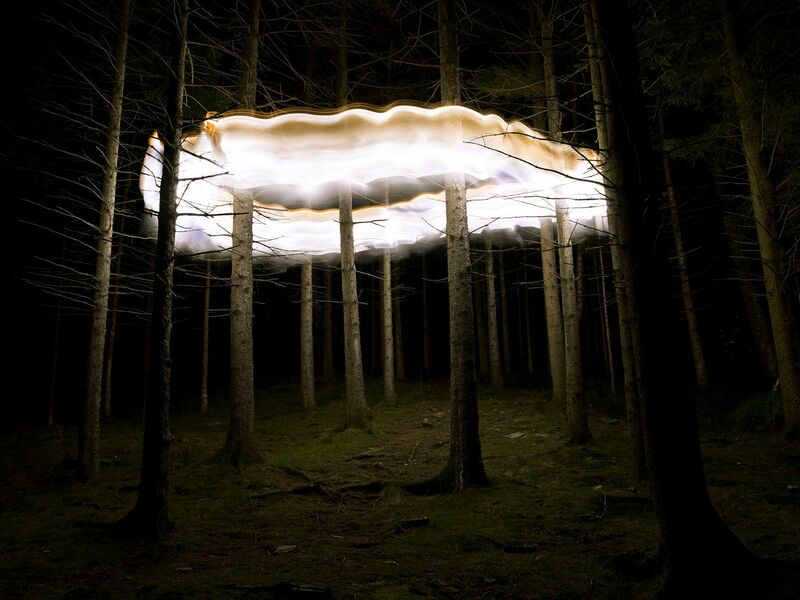 The artwork is part of the most recent incarnation of the Nightscapes series, the first one in which the artist has chosen to use colors instead of balck and white, celebrating the magnificent viality of nature's warm chromatisms, exalting them through the constant presence of light drawings that interact with the woods and trees, captureing their surreal atmosphere. The artwork is a Fine Art pigment print on Hahnemuhle Photo Rag Baryta paper. Limited Edition of 9 copies + 1 artist proof.